Someone once said that you can tell a lot about a nation by the condition of the infrastructure. 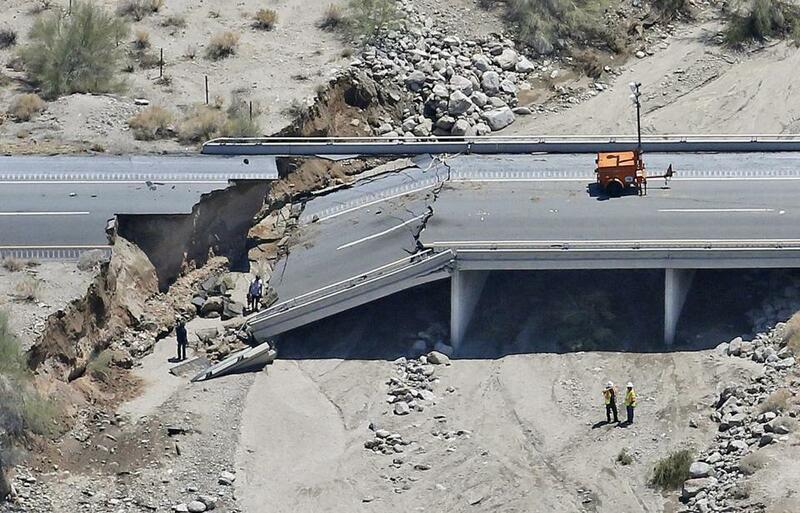 So what does the US infrastructure say about America? It says that America is in a very advanced state of decay. At this point, much of America is being held together with spit, duct tape and prayers. 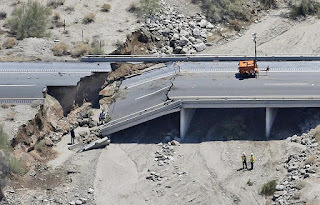 Roads are crumbling and thousands of its bridges look like they could collapse at any moment. The power grid is ancient and over a trillion gallons of untreated sewage is leaking from aging sewer systems each year. US airports and seaports are clogged with far more traffic than they were ever designed to carry. Approximately a third of all of the dam failures that have taken place in the United States since 1874 have happened during the past decade. The national parks and recreation areas have been terribly neglected and the US railroads system is a bad joke. Recent hurricanes which hit America showed how vulnerable the levees and dikes are, and drinking water systems all over the country are badly outdated. Sadly, at a time when we could use significant new investment in infrastructure, the spending on infrastructure is actually way down. Back during the 50s and the 60s, the U.S. was spending between 3 and 4 percent of GDP on infrastructure. Today, that figure is down to about 2.4 percent. But the US does not have any extra money to spend on infrastructure because of reckless spending and because of the massive amount of national debt that it has accumulated. #12 Close to half of all U.S. households do not have access to Public bus or rail transit. #13 The US's aging sewer systems spill more than a trillion gallons of untreated sewage every single year. The cost of cleaning up that sewage each year is estimated to be greater than 50 billion dollars. So where did the US go wrong? Well, one of the big problems is that the US have become a very materialistic "me first" society that is obsessed with short-term thinking. Investing in infrastructure is something that has long-term benefits, but these days Americans tend to only be focused on what is happening right now and most politicians are only focused on the next election cycle. The government certainly spends more than enough money, but very little of that money is spent wisely. Too much is going into military spending, without questions asked; No one in America seems to have figured out that the US is not obliged to be the global cop to keep the weapons industry happy. And sadly, the US simply does not have the money that it needs for infrastructure because of all the debt that it has have piled up. Unless the Trump Administration puts their money where their mouth is ( which they have not done so far) the federal government, state governments and local governments are all struggling to stay afloat in an ocean of red ink, and unfortunately that means that spending on infrastructure is likely to be cut even more in the years ahead. It is high time everyone in America wakes up to the reality that "business as usual" is not working anymore and that radical change is needed. So far no one has seriously stepped up to the plate.